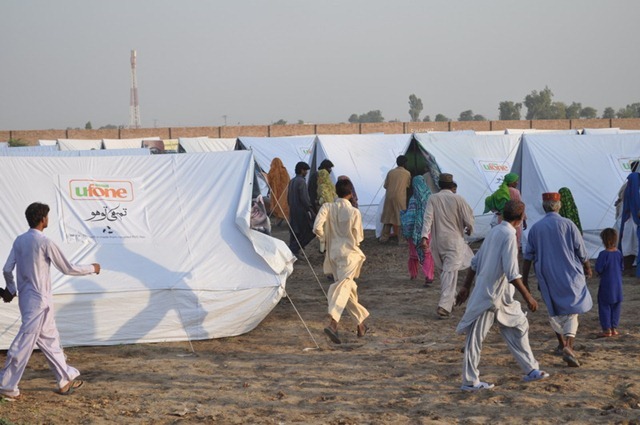 Ufone recently set up tent villages in flood hit areas to help those in dire need of shelter. The recent floods have left the nation at a standstill and even though a lot is being done some how the scenario on ground plus the stake holders suggest that it isn’t enough. Keeping in view the immense need of shelter, Ufone has set up tent villages using re-cycled PVC flex which are taken off from hoardings and billboards after when a commercial campaign is expired. So far villages have been put up in Charsadda, Sukkur and Multan and are catering to up to 300 people per tent village. 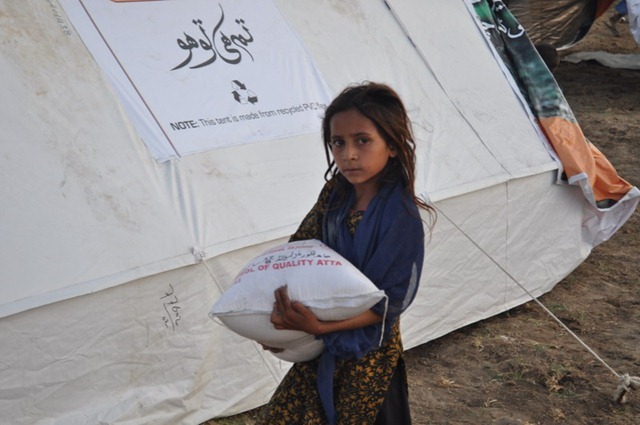 Pakistan is in great need of support from the people and the corporate sector and Ufone as a socially responsible organization is trying its best to meet the requirements by providing basic needs starting from shelter. As the winter is slowly setting in the need for sturdy shelter is essential. Other than the organization a number of our employees have gone out of their way to help the affectees on a personal basis. It is time we all come together for the better of the nation. people dont need tents they need proper homes – i would like to see people sponsor better living conditions, education and health care facilities. Tents are temporary – but eventually become permenant ……..
you deduct 12 rupees on each sms for the lucky draw to win a brand furnished home and after getting business in that fraud now you are investing that money in flood areaS to attain so called publicity……..you stupids,idiots.fool banatay ho ham logo ko han!!!! to hell with ufone and its cherity. Not on the company level, ufone employees also played a major role in generating funds on their own for the flood victims. UFONE Lahore office (Finance & Sales departments) joined hands for this noble cause & generated more than 3.0 million rupees. Supplied food items & helped in building houses for the flood affected people of Kot Addu & Muzafarabad areas.